Did you ever consider becoming a gardener, but always lacked time and resources? Even if you could find some spare time, and found budget-friendly plants, there were always some factors which could draw back your plan and vision of great and neat backyard. One of the most common problems modern day gardeners are having is the quality of the soil. Clay is among the most resilient types, but this problem is not impossible to solve. 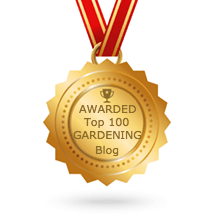 Here are my tips on how to get the best results and the most beautiful garden in clay soil. Clay is natural material found in every part of the world. It consists of small particles of minerals with traces of several metal components. Although this type of soil is ideal for trees, bushes, and roses, it is very inhospitable toward other species of plants. It is very water containing, sticky and gooey when watered and harsh, hard and lumpy when dried. It also has nasty tendency to crack when exposed to long periods without water. 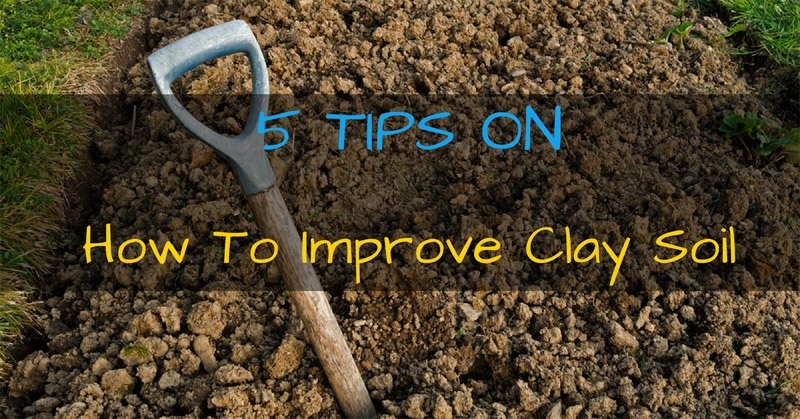 There are several ways which you can utilize to see how much clay there is in your soil. One of the easiest ones is to take some land, make a ball out of it, and wet it with water until you get a doughy ball, suitable for shaping. Now, stretch it into a ribbon, until it breaks. The length of the ribbon will show how much clay there is. The longer the strip is, the more clay soil contains. In general, if it lengths about an inch before it breaks, you have silt or loam. If it goes from 1 to 2 inches, you have loamy clay in your hands. But, if it is longer than 2 inches, you cave clay. The second method is to try a percolation test. This is also a good way to determine whether your soil has good drainage. You will need to dig a hole 1ft wide, and about 2ft deep. Fill it up with water, and wait for it to drain. Now, fill it up with water again and measure the time required for water draining. If it drains in less than 12 hours, you have well-draining soil, and you can freely plant anything which requires this approach. On the other hand, if draining time is from 12 to 24 hours, you can consider plants which can tolerate clay in the soil, but if draining time is longer than a day, in most of the cases, trees are the best recommendation. First of all, you need to make a plan about which type of plants you are going to have in your garden. If you have opted for small shrubs, trees such as maple and alder, or other which require clay soil, there is almost no preparation you need to take, but those standard ones. Most of those preparations are of an artistic type, and you will need to worry about getting enough sunlight for your plants, and not to plant trees near any buildings because, in a few years, roots can damage them. Some of the plants can tolerate some clay in the soil, and you can have a magnificent garden with those. But, those plants which are intolerant to clay and extra water on the ground will require some preparation. The foundation of every productive and thriving garden is adding compost and manure on a regular basis. Besides enriching the soil, compost has the "ability" to separate clay particles, making it harder to bond with one another, which will result in a more grainy soil, more suitable for planting and maintaining. Also, if you are a woodworker, sawdust is one good way to help your garden and to get you rid of several bags of trash. Bark from the wood, or mainly any bio-waste can help you build good seedbed. To do this, you will need a supplier in your near vicinity, and if you can take advantage of discounts, that is even better. I have concluded that several inches of manure spread over my garden and then rototilled had given the best results. To improve results further, you may put a layer of sand before putting fertilizer. Sand is suitable for draining extra water, and improves the "breaking" of clay. Of course, this approach should be taken early in spring, and you must be careful that soil is drained enough, because clay can create lumps when is wet, and those are hard to break later. The breaking of clay is not the only thing manure is capable of, it will also enrich your soil with microorganisms, which are responsible for successful plant growth. Besides improving soil, these bacteria also eat up the bonds between clay particles, thus successfully integrating them. Although the previous method is excellent, you need something which will help you in the long run. To do this, you will need bio-waste usually got from dead plants, leaves, and other residues. This method can be achieved in two ways. The first is to introduce cover plants, which will be planted “off season” and left to rot and decompose in time. Although this approach seems like the first one, the important difference is that the roots of those cover plants will bond nitrogen and oxygen to the ground, and the plants which will come afterward will advance faster. Also, remains of the root will manure the soil from within, something you must do with the aid of a hoe. Legumes and clover are among the most efficient for rotating crops, because these two have the most favorable percentage of binding nitrogen to the ground. The second method is to leave all of the residue cut from the plants around them, thus manuring it naturally. This is the reason why soil in the forest is among the most productive ones, because all of the fallen leaves, dead branches and buds are left to rot and to fertilize the land underneath. You will do the same, and in time, you will get quality soil. Even if you did all of the things above, there are still several things you must pay attention to. I have learned the hard way that creating a "wild path" throughout the garden will result in blisters because clay has the bad habit of becoming harder and harder each time you traverse it. To break it, you will need to put into a lot of work. To avoid this, you could create pathways using stepping stones. Another way to improve your soil is to aerate it regularly and to rake it from time to time. Venting the soil can be done naturally, by worms and moles, but you can give in your contribution, to make it loosely and grainy. This kind of soil drains water faster and will prevent plants to suffer from overwatering. Also, planting on a mound and a bitter higher ground can improve draining of the soil. This approach works best on trees, but you can apply it to every other plant. Once the mound is flatted down, you can add more soil to lift it up. Every soil is one of a kind, that is indisputable, but depending on the type you have, some actions might be necessary, while others will not be required. Only those experienced in this area of work will know exactly what needs to be done. If you are not among them, you should always look for another opinion. Luckily, the Internet is on your side, and you can find a lot of information there. The other alternative is to visit a garden center because people working there are trained and educated to give the best possible advice.